Many of us fondly recall watching a TV show called Leave It to Beaver, that ran from 1957-63, and laughing at the antics of little “Beaver,” enjoying the give and take (and teasing) between him and elder brother Wally, while admiring the wisdom of his parents, June and Ward Cleaver. Little did we know that this show, in one sense, held the key to creating the ideal world. Not that it was perfect or that it can “easily” be applied to the perhaps more complicated world in which we now find ourselves firmly embedded. But the main elements that comprise an ideal family were there, and as Reverend Moon often said, consonant with the great sages of the past, the true society is like an ideal family writ large. This concept reminds me of a matryoshka doll I purchased when I was in Russia helping with the Divine Principle workshops being held in the Crimea in the early 90s. It consisted of a finely crafted set of wooden dolls of decreasing size placed one inside the other. The art dates back to the 1890s, but one of the most popular versions in the early 1990s was a wooden doll of Mikhail Gorbachev, which, when opened, led to a virtual cornucopia of “great” Soviet leaders in reverse chronological order, one inside the other, culminating in Vladimir Lenin in the center. The intimation was that all the Communist leaders were cut from the same cloth, following the pattern set by Lenin. Likewise, I believe the Cheon Il Guk society could be represented by a matryoshka doll with the ideal nuclear family, like a divine imprint, in the center, forming the model for the neighborhood/community “family,” and ultimately for the state, national, global and cosmic “families.” This would illustrate our principled viewpoint that every level of the ideal society is cut from the same cloth, following the pattern of the ideal family. The national “family” could be further broken down into sectors such as the political “family,” business/economics “family,” education “family,” etc. What does it mean for a “country to become a family-patterned unit?” How would this concept apply to politics, for example? We see today, especially on the national scene, a big divide between left and right, conservative and liberal, which literally and figuratively shut the government down. Some of us may have even vigorously supported one side or the other in this debate. My purpose is not to argue the merits or demerits of either position, but rather to raise the issue whether this is ultimately the position we want to take as Unificationists. Is one side completely right and the other completely wrong on every issue? If we follow one side alone, will we be able to establish the ideal society? What would family-patterned politics potentially be like? Just as in the ideal family, each member of the political “family,” whether it be a leader or citizen, would embody God’s image through striking the proper balance between internal and external values, with internal values of integrity and goodness leading the way. In addition, the political “family” would reflect the unity within the Godhead (and ideal family) between masculine and feminine elements. 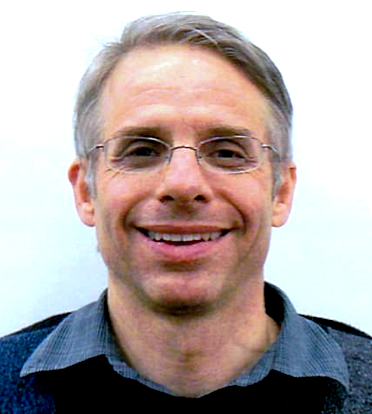 Dr. Tyler Hendricks wrote in a 1994 article that the political left reflects more “motherly” concerns of embracing and working for fairness, while the right emphasizes more “fatherly” concerns such as competition and opportunity. 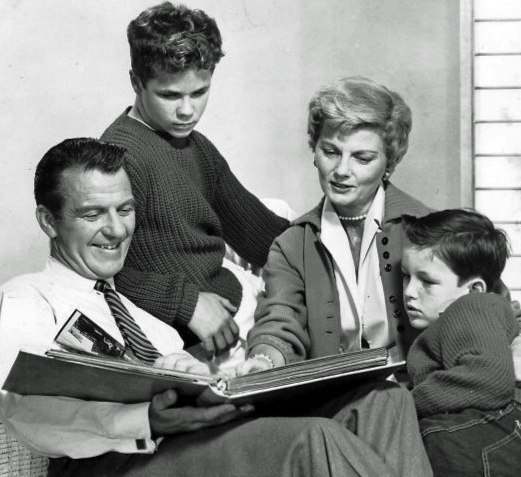 Leave it to Beaver often illustrated the balance necessary between the father’s and mother’s perspective. For example, in one of the earlier episodes, Ward wanted to get closer to his boys and build a basketball area in front of their house for them to play with their friends. However, he didn’t really listen to his boys in terms of how they wanted it to be built and injected himself too much into the boys’ play time. It took the more feminine perspective of the mom, as well as the sage advice of another parent in the neighborhood, for Ward to overcome his tone deafness and listen to what his boys were really saying. Here’s an example of employing a “family” perspective in the political sphere. We know there is a great debate between those wanting more versus less government. And it seems like this argument could go on ad infinitum, like a cosmic ping-pong game. What suggestions could we make as Unificationists which could potentially break this logjam? What might a “family,” headwing-type perspective be on this? According to Divine Principle/Unification Thought, leaders should exhibit a parental-type heart. If that’s the case, then naturally a parent would want to provide some kind of safety net (i.e., more “motherly” care) when his/her children find themselves in a situation in which they are not able to do for themselves. We may all have experienced this in our own families to one degree or another. 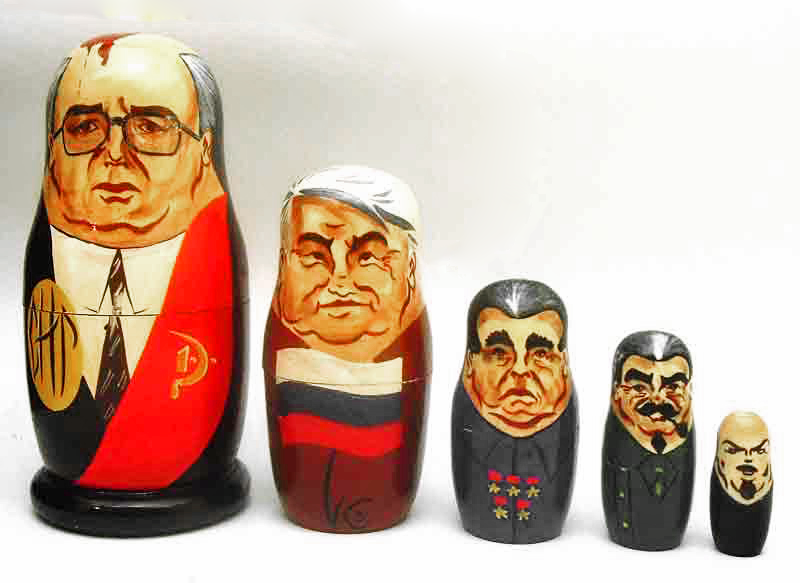 A matryoshka doll set from the early 1990s. On the other hand, a responsible parent would be concerned about his/her children becoming overly dependent in the long term and take steps to ensure that his/her children ultimately become independent without a safety net (i.e., more “fatherly” care). If we promoted such a “family” type perspective, I think this would appeal to just about everyone, both liberal and conservative. For example, I recently saw an Oprah (not exactly a conservative) interview in which she said one of the main messages her show has emphasized over the years is that people should not view themselves as “victims” but rather do whatever is in their power to make their lives work. This type of “family” perspective could be instrumental in bridging the gap between left and right and forming the basis for a headwing-type worldview. Above: A 1960 publicity photo of the Cleaver family from the television program Leave it to Beaver. From left: Hugh Beaumont (Ward), Tony Dow (Wally), Barbara Billingsley (June), and Jerry Mathers (Theodore, nickname “Beaver”). I was surprised a while ago when one of my colleagues, usually expressing the “liberal Democrat” positions, remarked, “Republicans actually have a more positive view of human nature; they believe that people will naturally come to the aid of their fellow humans, while Democrats feel that people will only do that if the government forces them to.” However, the reality is that a focus on self-survival and/or self-benefit tends to dominate both sides. As Jeff Kingsley has noted, the ideal world can only come about with a “marriage” of these two perspectives. On the campus where I teach, a favored textbook for some of our English courses is Rereading America, an anthology offering commentary on common “myths” about the nation. One aspect that is covered is the “myth” of the American nuclear family, with Leave It to Beaver as the main target, being regarded as a false representative of the reality of our cultural values. What is ignored is that the program did not purport to depict reality – the emphasis was on what “could” (or better, “should”) be the reality. In other words, it presented components of an ideal to strive toward. For those of us who grew up in the 1950s and 1960s, it allowed us to see what we should strive toward in our own lives. Television was not considered to be a window into reality. However, my own children grew up in the 1990s watching Sesame Street with the emphasis on self-esteem. Thus, recognizing that children might be offended at the message from Leave It to Beaver indicating their lives were inadequate (probably because the writers and producers might have felt that way themselves), we saw many representations of families with a single parent, children being raised by grandparents or other relatives, and even children in foster homes singing “we are family,” in order to diffuse any implications that they had something wrong in their lives. Rarely did we see families with both parents and their children proclaiming themselves as a family. Thus, the program did not overtly suggest having an ideal to strive toward. In trying to help the child’s sense of self-esteem, the program covertly encouraged complacency with the “status quo” of such family situations. These days we refer to the scripted “reality shows” as “telling it like it is,” and we have very little emphasis on “telling it like it should be,” which seems to be the Cain view that Abel needs to address. It’s not easy, and it could put us in mortal danger if we’re not wise. Walter’s comment seems to confirm the inability and failure of government and media to raise children. What we have portrayed in these shows are the increasing number of dysfunctional families that end up falling onto government welfare. There is an effort to make them acceptable because there is an innate sense that everyone’s life is equally valuable, but the message gets confused with the notion that everyone’s family style is equally valuable. In a value-relative world, governments and media leaders don’t have a desire even to attempt to discern better and worse ways of raising children. Social science data has been coming in for a few decades now, and the relationship between personal success and those who have been dependent on government subsidies and education. In fact, the increased spending on education in recent years has done nothing to close the achievement gap, either domestically, or in comparison to other countries where per capita spending is much less. Yes, and Father Knows Best had messages of character, parental love, sibling relationships, and growing together as a family. And, how about Lassie, The Andy Griffith Show, and more recently, Highway to Heaven? Current programs such as Everyone loves Raymond seem to imply ideals but with an emphasis on the “fallen realities,” making light of them through often bizarre humor and only occasional redeeming moments.